It's amazing how few books I have read this month. A lot of that is due to how busy I have been and also because I have focused on reading through and recycling my magazines, but I think I need to refocus for next month and get some more books read: in May I'll be heading to NY for BEA and I need to be certain that I have finished reading all the books that mom has loaned me so that I can return them and pack up another set to ship over to read:-). I'm really an idle blogger: I don't expect to make money from my blog (nor do I want to), I'm not running it as a business, and I don't really do anything at all to publicize it. 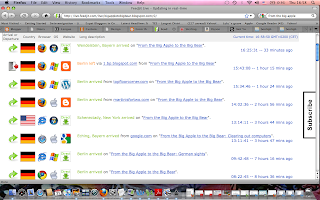 I started my blog as a way of maintaining both a running diary, accessible by friends at home, as a storage place for pictures and information for myself, and as a way to meet and chat with folks with common interests as a new expat in Germany. I had gotten good advice and learned things of interest while wandering through other people's blogs, so I chose not to make my blog private. I've maintained an interest, for the most part, in the blog, with ups and downs dependent on my outside interests and activities (and those of my family) and since I set it up, haven't changed it very much, after a quick flirtation with Wordpress which still lives out there, just in case. 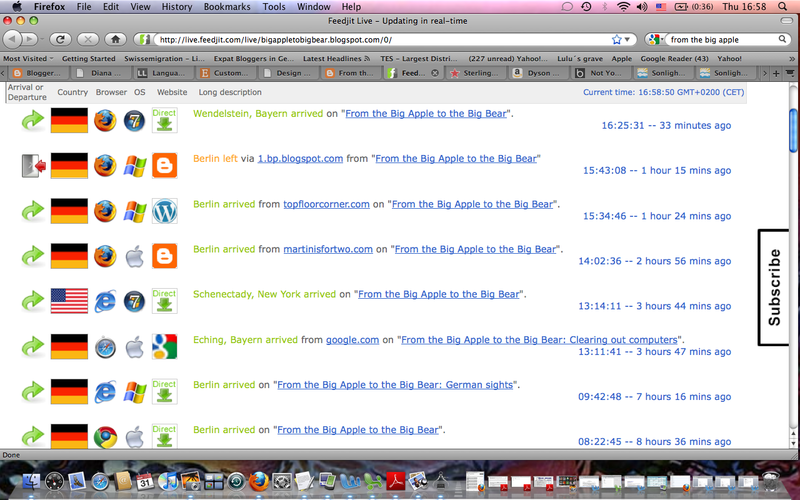 One of the widgits I installed was Feedjit, which allows me to see some information about who visits my blog. Not very much, because I use the free version: I don't market so I don't need to granularize the information. But I do look at the information, because I find it interesting to see who comes by (and in the case of friends, I may recognize their city) and what key words or searches are used to get to me. 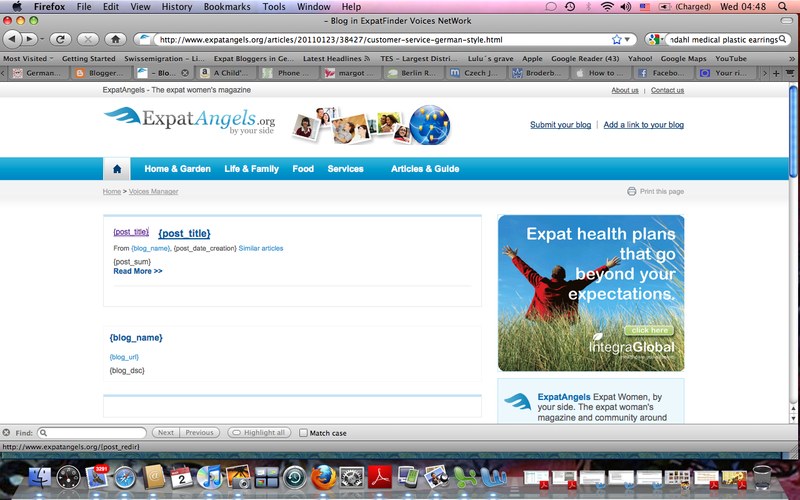 So I was really surprised to see someone coming to me through a blog called ExpatAngels. When I went to look at it, I discovered that a post from by blog had been scraped and was sitting there in all its glory (joke). At least my name and link had been left,but I was confused: no one had ever asked my permission to use my post, notified me of the use, nor did I remember joining the site, which might have given them permission to use my words. So I shot them off an e-mail to ask them why my post was sitting there. I never got a response, but what I did get was quite quick removal , as you can see on the left. That made me curious, so I did a quick and non-tech search and was able to discover that blog-scraping seems to be quite common, if even my tiny and quite unread blog can be scraped numerous times: here's another one, with my post still sitting on it. Once again, it's linked, so I think I'll leave it here. But I'm just amazed that people do this: it's stealing words and photos, isn't it? 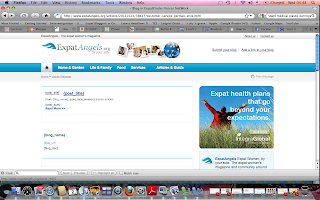 And using it for commercial purposes, as these blogs seem to be money-making (or attempting to be so) entities. 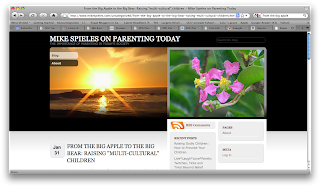 For those of you with a stronger interest, or who want to make money on their blog: I wonder how many of our posts are sitting on someone else's sites, with or without attribution? h/t Echidne. Photo from here. 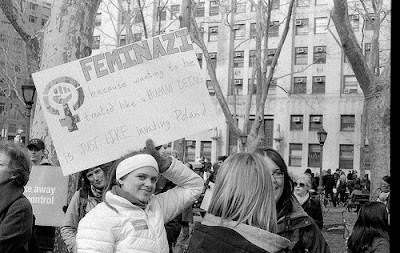 Because wanting to be treated like a HUMAN BEING is JUST LIKE invading Poland. 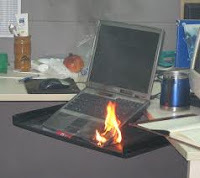 Just after I agreed to be nominated as editor for the monthly newsletter of my women's group, my PC-compatible blew up. Not literally, in a puff of smoke, but figuratively, with the pop of the motherboard going crack. This wasn't the first time. 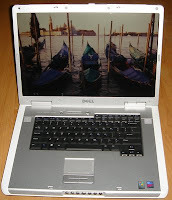 My original Dell had been one of those that caught on fire. 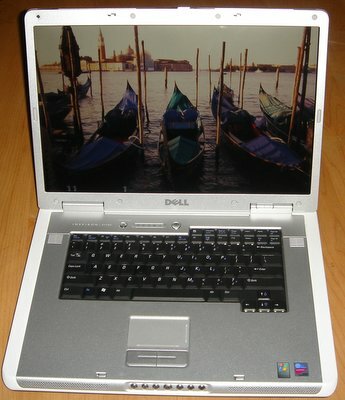 My actual computer, a Dell Inspiron 9300 top of the then line, actually sparked up a flame while I was breastfeeding T2 in 2006, which I found inhibited the milk flow. Dell was very apologetic and replaced it with a 9400 and some extras. I haven't actually been using it for much for the last few years, except to sling TV to my computer through its handy HDMI port and when I needed to reference sites that don't allow me to access through my Mac (such as my husband's HR portal). I had long ago removed all data to my Mac and to back up. The NL, however, is edited in Publisher, a strange little PC-only Microsoft program. I had anticipated being able to do some final edits and the after proofing edit at home, rather than relying on my assistant or the office (in Mitte!) computer, so I found the timing to be rather annoying. Also, watching TV on my Netbook is irritating beyond belief —I am always working on the Mac when watching TV, so I am not willing to use that HDMI port and the Netbook doesn't have one:-(. Finally, after having the dead laptop clutter up the house for a few weeks, we took it (minus the above hard drive, because I'm not certain how to scrub it) and another dead computer (a hand-me-down to our daughter from an in-law that never worked properly) to the recycling hof, where it was eagerly taken off our hands. I hope the memory (which we did not remove) and all the other once high end bits and pieces serve someone in good stead. The big question now is, what to do? I'm in the UK next month: shall I buy another English language laptop there? Shall I wait until May, when I am in NY at BookExpo? Or shall I get a new Mac, run PC virtually on it, and use my old Mac as a sling server/back up? Any one have a recommendation or thought on the question? 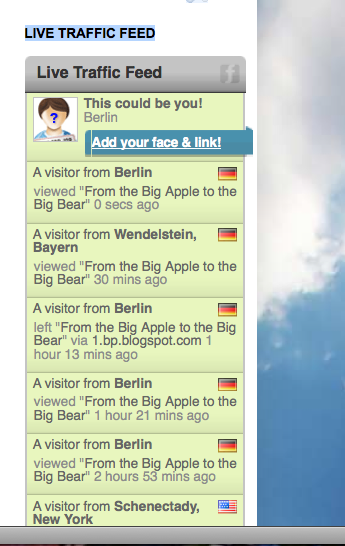 while my German writing course is still running on the 5th day (last day next week!). Swimming and drawing lessons Friday. the German had a continuing education course that meant he was not in Berlin 4 days two weeks running. I was asked to be the editor for the newsletter of a group I belong to and agreed, so I spent two months assisting on the monthly production and the last month putting April's newsletter together with my own assistant, as well as joining the executive board of the group: it's more political and more activity extraneous to the newsletter than I had expected, but I'm enjoying it. It added a formal dinner and a General meeting to the month, though. Some of this has been lots of fun and some of it has been just a lot, so things will change after the Spring school holidays and I will try to grab some down time. And to make me more sad, a writer whose work I love and who is a dear friend of dear friends (and thus someone I have met and known) died this weekend. It just makes me more sorrowful while I am already very sorrowful by what has happened in Japan (and is continuing to happen). We absolutely love our new apartment (since we moved here last February) and we absolutely love our new neighborhood and its location. But what we haven't loved is that the street on which we live is wide enough that car drivers apparently feel that the posted 30 km speed limit is optional rather than mandatory. So much so that twice men (once in a truck, once in a white van) have pulled up on my right side at one of the three lights, gestured at me to roll down my window, then asked why I was going so slowly. When I pointed out the speed limit, in both cases they pulled around me from the right, and crossed in front of me to take a left. So when we came back from a party (post later) this weekend, I was happy as a clam to see that the Polizei were using our street to decrease Berlin's deficit. (When they did this last month, the German walked over and thanked them). While we watched, they pulled cars (and many taxis) over, generally two at a time, and ticketed them. What amazed me was how the speeders could miss seeing this. They did this again on Tuesday, as I saw when I got back from class, and it seemed as if there was an endless supply of speeders. The German and I joke that this street (and Brandenburgische-strasse) could between them put Berlin in the black. They were, both days, taking note of how many cars were speeding even though they pulled over only a small minority of those cars (stopping at two at a time) so I wonder whether they are considering some type of installation to slow traffic: I would e greatly in favor of such. 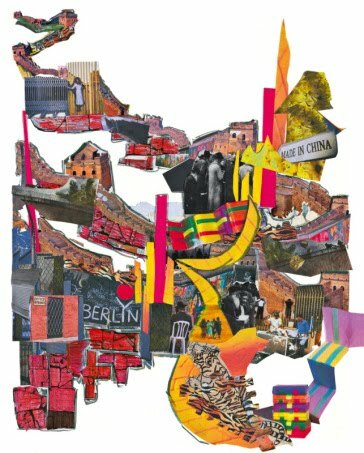 Agathe Snow: All Access World takes as its subject the world's monuments, landmarks, and historical sites, focusing on the ways they shape collective memory and serve as potent touchstones of national identity. Snow sets out to explore how these iconic structures could jettison their didactic aspects in favor of a new flexibility that would increase their relevance to contemporary life and make them vessels of cultural exchange. This utopian ambition is articulated through her establishment of All Access World, a fictional corporation with the stated aim of promoting "a more democratic approach to monument ownership and distribution." Within this conceptual realm, monuments are subjected to an irreverent process of reinvention whereby they are transformed into consumer products that have the potential to reflect individual tastes, interests, and experiences. It was indeed interesting, with the artworks ranging from a tactile fur Stonehenge to large papier-mache monuments, and it was fun to move the artworks around, to climb into the Hollywood piece and look out and to see the video installations. But I think that my next museum visit will be a bit more old-fashioned. I need a bit more serenity to recover. The children had fun at the werkstatt, which had the concept that one should "make a bag" to take with one on one's journey. That was a bit above the girls' understanding, I think, but T1 drew an interesting picture of a destination and T2 made an object of various items and I think that was enough fun to go on. Chaos from order and hopefully back soon. Life's been so crazy that I even forgot to post my reading list at the end of the month. I have been working on posts for a while, but they aren't done. I'll link them here when they are done. I visited an interesting museum, the Daimler Contemporary, and had lunch with my group. Went to Vienna for the weekend and saw Cirque de Soleil with a friend. Found a massage place, finally, and my back is still feeling the pain. Had a bad experience with T2's swim instructor and had to switch classes. Discovered that my blog had been scraped and my posts were sitting on someone else's web site. T1 has art/ceramics on Friday. Ice skating Saturday ended two weeks ago, so last week they went bike riding on Saturday while waiting for rollerblading to start. This week, I also had Elternabends on Wednesday and on Thursday, as well as the massage and lunch with a friend on Wednesday. I am also trying to declutter at least 15 minutes a day, I run about 7 loads of laundry a week (with three on Wednesdays when I change the linens), and I am "looking forward" to the seasonal change-over of clothing that I anticipate in three weeks. The calendar is receiving a work out and the German needs to start referring to it— he actually scheduled a babysitter for one of the Elternabends for me, but he told her the wrong day! Luckily, she lives two streets over so it wasn't terribly inconvenient for her, but it was awfully embarrassing!